Course is currently sold out. 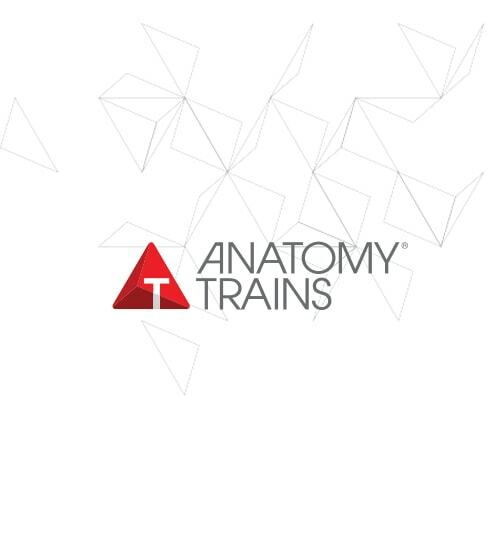 Please contact the office at info@anatomytrains.com or 1-888-546-3747 to be added to the waitlist. Tom and Ian create an electric atmosphere of dynamism and humor as they explore self-limiting patterns that affect movement. Designed primarily for trainers and movement teachers, this workshop will have relevance for bodyworkers as well. This two-day workshop delves into topics that are crucial for achieving more effective outcomes in clients. It challenges the two-dimensional perspective through movement, this instantly changes the view from isolation to integration and creates many questions on where this all fits in. This workshop will create a healthier understanding of the strategies, outcomes and empowerment that can be created not just in our sessions but also more importantly outside of them. When we talk about motion what do we really mean? In our industry we have a lot of confusing terms and tools but where do they fit in and what do they really mean?Traditionally we tell the body how it should move, feel and perform. Through a longitudinal perspective, we are now starting to comprehend that the body reacts differently in 3 dimensional movements compared to 1 & 2 dimensional. Regular principles are required to guide our decision making process in choosing the optimal motion, tools and exercises. This session will expose very simple yet powerful guiding principals. If you want to maximize your understanding but more importantly the application of motion this is a necessity. The view of tissues in body has taken a drastic change. Through a longitudinal perspective and much research connective tissue has now been re-discovered as a major player in mitigating stress throughout the body. This is not to say what we know about nerves and muscles is wrong but the third component now makes the system more complete. There are many research articles that are telling us many things about muscles that we didn’t know especially in motion, without understanding the role of connective tissue we are doomed to fail in achieving successful outcomes for our clients. Also what does connective tissue need to be healthy and effective? These are all very important topics to be covered. This topic will uncover some of the myths about generating the healing process in the body. From understanding whether pain is the problem or a symptom and if it is a symptom, where do I go to? Is icing is necessary in the healing/recovery process? We will also look at what we need to feed various joints that appear to be common places of discomfort to enable them to become pain decreased/free almost instantly. Rehabilitation, reconditioning or recovery are all terms we need to understand and know; how to empower our clients to recognize if there has been a problem what the protocol should be. Changing clients instantly to allow them to move and feel better, isn’t this what we as coaches/trainers need to do? People in society live in constant stress; family, relationship, business, occupation, financial and self-expectation. It is rare these days that people are not in some form of discomfort or pain. Lets discover some of the simplest techniques/methods to empower them be feel better, mover better and be better. To have the vitality to complete a days work and look forward to going home to share time with their loved ones or the drive/passion to complete a challenge that enables them to share time with others. Combatting emotional challenges is a topic that needs to become every coaches/trainers number 1 secret weapon. This is possibly one of the most powerful sessions of OD on Movement. To see people complete the above 4 sessions and then work on other attendees and observe the changes in themselves as well as their client is incredible. To know something is one thing to apply it and instantly observe change is quite another! If you want a life changing experience this is for you. Founder of OD on Movement, Ian has delivered over 200 workshops worldwide, focusing on many of controversial facets of personal training and constantly challenging traditional methodology to strive for optimal well being through better fundamental movement. His ability to facilitate the cutting edge science and research into more user friendly practical exercises and awareness has seen trainers become more willing to “change or adapt” their way of thinking. Ian combines his practical “hands on” techniques with specific functional movement exercises, developed at his boutique studio (Fitness Personally) in beautiful Noosa Heads. These exercises are then given to the client to repeat regularly, feeding the body the missing ingredients it craves to move and feel well; enabling clients to regain responsibility of their body’s wellbeing. Ian’s knowledge and experience of looking and listening to the body (and how to improve it) has allowed him to help clients across a spectrum of pain and dysfunction – from the sedentary to the chronic and elite. The “OD on Movement” philosophy is based on helping health & fitness professionals and clients to move, feel and perform better through observation of the body; facilitating change… not fixing.